Ichthus was the Greek word for "fish." In the early church sometime during the end of the first century, the word was made into an acronym. As such, ichthus compiles to Iēsous Christos, Theou Yios, Sōtēr which translate to "Jesus Christ, God's son, Savior," based on this configuration. 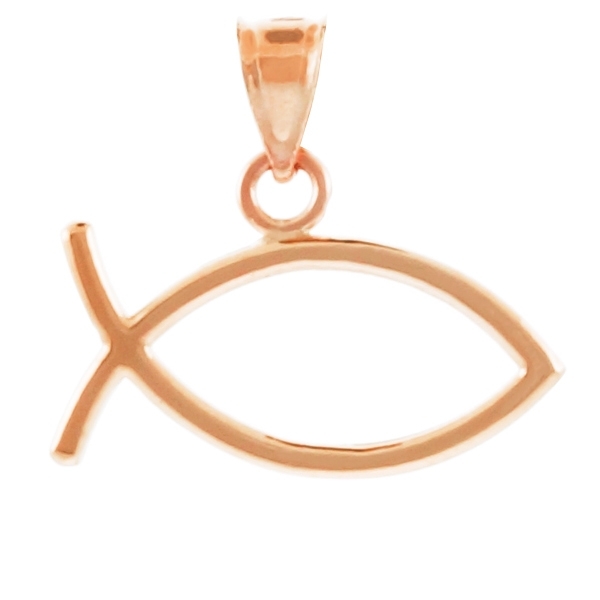 Available in yellow gold, white gold, rose gold and sterling silver. Gold products are available in 10K and 14K. Silver products are crafted with 0.925 sterling silver. Shipped fast and free. Made in the USA. 30 day money back guarantee.